Video trailer, 13 min.52 sec. Which meanings does the word for Jew, zhid, have in Poland? Ofra Riesenfelds film is a documentary and an investigation of Jewish life in contemporary Poland. Following the traces of her grandfather Abraham Adolf Riesenfeld, who was a pharmacists and well-respected men in pre-war Golub-Dobrzyń, and was murdered in the Rusinovo Forest before the filmmaker is born, she encounters other Jewish people. Her film becomes a portrait of her protagonists, the German-Jewish born Dorothea Hegeduess and her partner Boruslav, who travel the countryside performing Klezmer and who, by day by day by living inside the polish community break down stereotypes and reanimate the cultural traces of Jewish life in Poland. 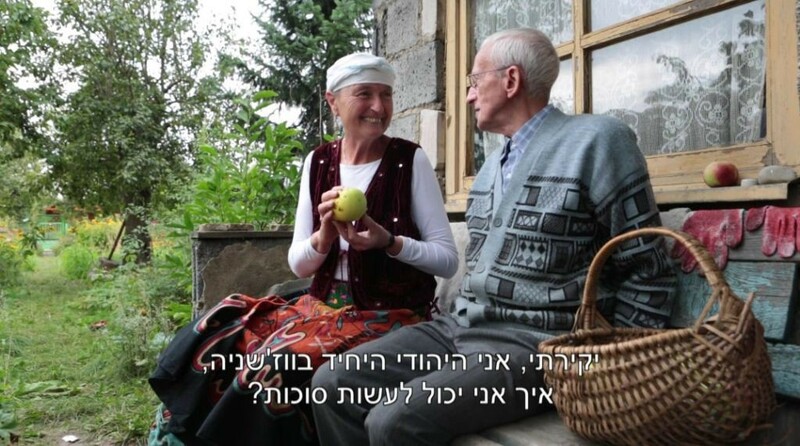 Together with them, she is also introduced to Czeslaw Pardela, a modest elderly man, who as the only Jew in his community, however he keeps up the faith, that it might have been meant to be his destiny. She goes back to the pharmacy in which her grandfather used to live, and also meets a young woman, Marta Drażyńska, who is one of the protagonists of a younger generation, trying to understand the secrets of the past. As much as a portrait of her protagonists, the film is a portrait of the tender growth of new relationship and healing wounds, when Dorothea describes, how her small kitten Itzek was received as a new member of the family in one of her neighbour´s house, when her neighbour proudly tells her that his ‚catholic cat’ and her ‚Jewish cat’ have been peacefully playing and eating fish together on a Friday afternoon. Ofra Riesenfeld, born in Israel, is an author of poetry, a journalist and a filmmaker, who lives and works in Poznań.